Menjangan Island Snorkeling Day Trip – Reef Drop-off & Coral Garden is our fixed daily departure tour to Menjangan Island. It is an all- inclusive one day tour to Menjangan Island and back . It is based on sharing / join in basic tour in Menjangan Island. Package includes 2 x snorkeling at Menjangan Island, West Bali National Park entrance fees, lunch, transportation, travel insurance, guide, mask, fins and boat ride. How to get to Menjangan Island? The best way to get to Menjangan Island is to take our Menjangan Island Snorkeling Day Trip. 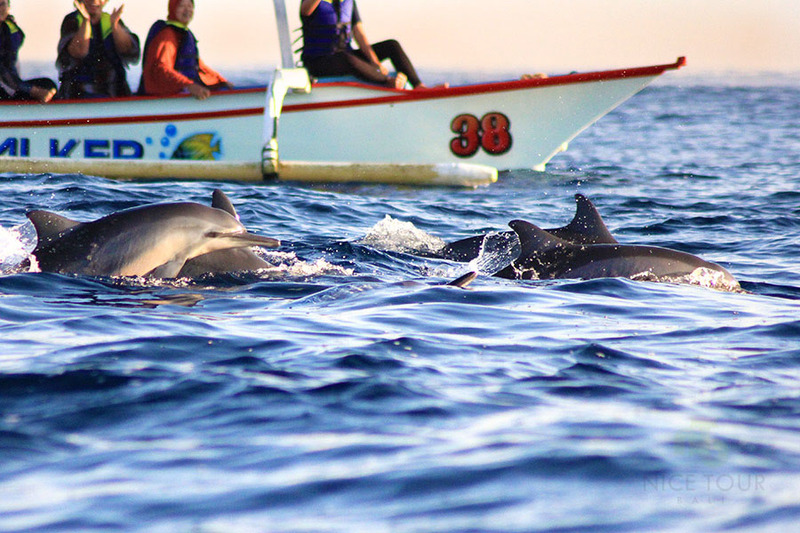 One Day Tour Bali | Dolphins & Snorkeling. For those who stay at Kuta, Ubud, Seminyak, Sanur, Lovina, we will inform on pick up time. 09.00am: Pick up at hotel at Pemuteran and Gerokgak area and drive to Pantai Pasih Putih Harbour to catch your boat for your Menjangan Island Snorkeling Day Trip. 09.15am: Arrive at Pantai Pasih Putih Harbour, we will provide you your mask, fins and snorkeling equipment. Descriptions: The most beutiful sight you will ever seen during any snorkeling tours you have been – Dive Wall separated the water into two colors – Dark Blue and Light Blue and you will see plenty of beutiful fishes, caves, corals which we don’t know how to describe. Best spot for snorkel and better than best if you want to do a dive at this spot. This is the world class diving spot. Most beutiful sight in Indonesia. 12.00pm: We will head to Menjangan Island. NOTE 1: Please wear decent clothes to enter the temple. 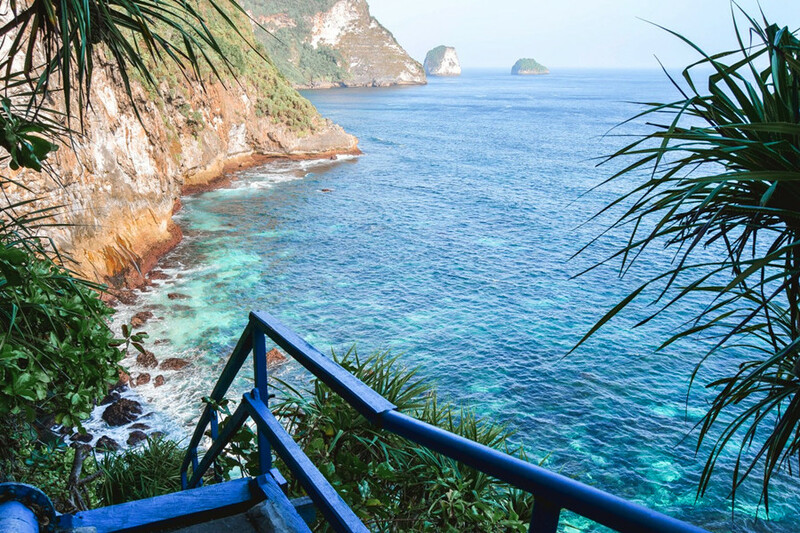 NOTE 2: Along the walking path towards the temple on the Menjangan Island, you will spot amazing views of cliffs and ocean. There are many good spots to take pictures and view are similar to Atuh Beach and Broken Beach in Nusa Penida Island. NOTE 3: Menjangan in Java language means Deer, thus, there are may deer on Menjangan Island. 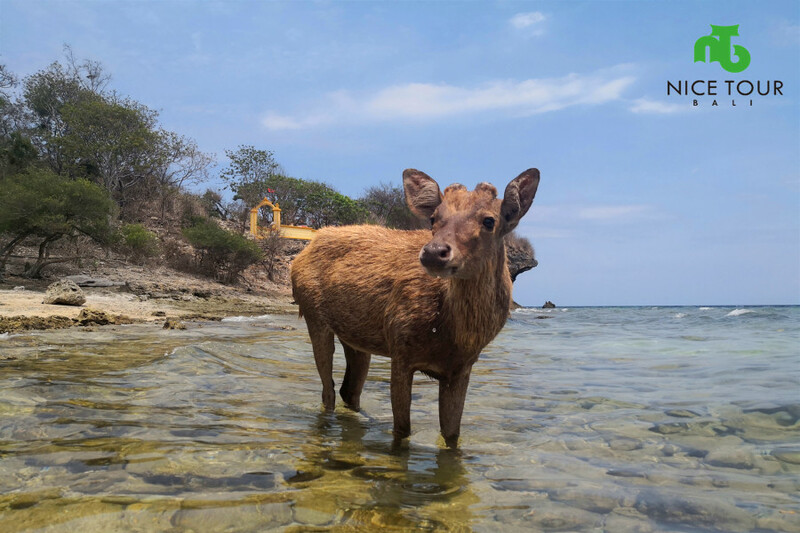 These deers they swam from Bali Mainland to the island, and they are wild and please don’t feed them. Description: Coral Garden offers a lot of colorful fishes and beutiful corals. 00.00pm: Back at your hotel. Menjangan Island Snorkeling Day Trip ends. Full Day Boat Ride as per itinerary during your Menjangan Island Snorkeling Day Trip. Tour Guide during your snorkeling tours at Menjangan and Menjangan Island Tour. Menjangan Island Snorkeling at two spots – Reef Drop-Off also known as Rock Wall or Dive Wall and Coral Garden. Menjangan Island Tour visit to the holy temple of Taman Pingit Klenting Sari Temple, Pura Segara Gili Dharma Kencana Temple etc. NOTE: Please bring along “Sarong” and decent clothes to enter to the temple for praying or to visit. Lunch on boat or at Menjangan Island. NOTE: Packed lunch. West Bali National Park Fees of IDR 200,000 (USD 14) on a weekday and IDR 300,000 (USD 21) on the weekend. Mineral water will be supplied during the whole Menjangan Island Snorkeling Day Trip. Snorkeling equipment such as fins, masks, life jacket(if needed) snorkeling equipment etc.. Personal expenses such as donation to the temple on Menjangan Island. Items not mentioned on the itinerary. Free Pick up and drop off from Pemuteran and Gerokgak area. Additional Charges of USD 20 per car (Avanza or Innova which can sit up to 6 person) for those who stay at Lovina Area. Additional Charges of USD 60 per car (Avanza or Innova which can sit up to 6 person) for those who stay at Kuta, Ubud, Seminyak, Sanur area. Menjangan Island Snorkeling at two best spots – Reef Drop-Off also known as Rock Wall or Dive Wall and Coral Garden. Visit Holy Temple located on Menjangan Island. Amazing views on Menjangan Island for photo and relaxing.